MANILA, Philippines - Senator Miriam Defesor Santiago officially announced her bid for the presidential race in the May 2016 elections. Santiago declared her intention to run for president during the launch of her book 'Stupid is Forever More' in Glorietta on Tuesday, October 13. When asked why she's running for president, she answered: "In so far as I'm concerned. Definitely I will run because I've already gotten over my bout with cancer and there's nothing left to do." "If I become president sometime in the very near future, this country will be much better than it was before. 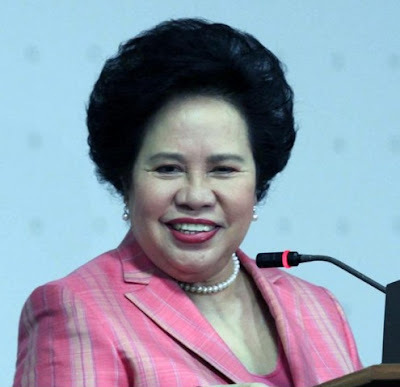 Our country suffers from the malaise of plunder," Santiago added. Santiago also gave a hint of who will be her tandem (vice president) - "someone who has already declared an intention to run for the second highest elective position." Senators Antonio Trillanes IV, Ferdinand "Bongbong" Marcos, Jr., and Alan Peter Cayetano have announced to run for vice president but don't have running mate so far. Santiago said she's possible to file certificate of candidacy (CoC) on Friday, October 16 under her founded party, the People's Reform Party. Santiago was named one of The 100 Most Powerful Women in the World in 1997 by The Australian magazine. She received the Ramon Magsaysay Award for government service in 1988. She sought for the presidential position in 1992 and 1998 but failed to win the top position.